Here are our short list of kid-friendly hotels in the City of Brotherly Love. We checked out this luxury hotel near Philly's charming Olde City and found a lot for families to love. Philadelphia is not only educational, but also entertaining, making it the perfect city for kids! Start the family weekend at one of Philadelphia's popular pizza joints or cheesesteak spots. Satisfy the teen's pizza craving on Market Street. The casual pizzerias are great kid-friendly lunch or dinner spots. Philadelphia pizza joints are known for their fluffy crusts and using only the freshest ingredients. Of course, a vacation in Philly would not be complete without biting into one of those famous cheesesteaks. Try out Geno’s Steak’s and Pat’s King of Steaks. Get a real feel for Philadelphia by sitting outside and people-watching. In terms of things to do in Philadelphia for kids, it depends on the age group. If teens are fans of scary stories, take a walk around the old city with a lantern lighting the way, listening to stories of ghosts who inhabit the historic city. A ghost tour is the perfect activity for walking off dinner and learning about the history of Philadelphia. Chances are the walk will pass by one of the city's famous free concerts, the river and the Blue Cross RiverRink. When it comes time to get in a little history, Philadelphia has plenty to offer for all ages. 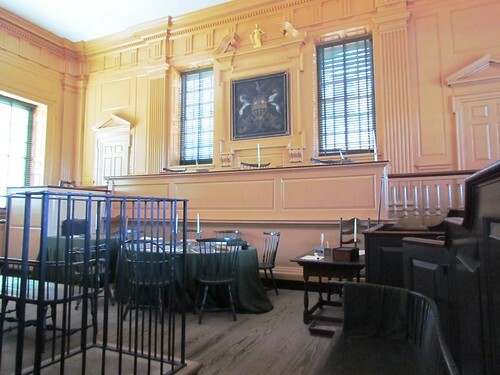 Families can visit Independence Hall or the Liberty Bell Center to relive American history. When kids can come into contact with real artifacts from their history books, while taking breaks for good grub and fun city tours, it means that parents have found a great vacation destination.